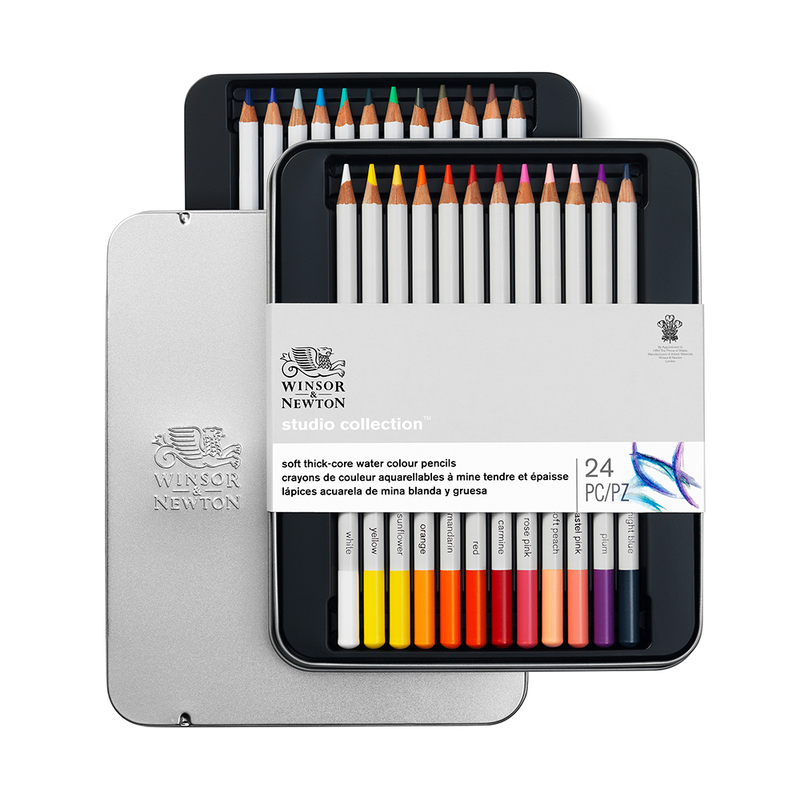 Winsor & Newton Studio Collection Soft Thick-core Water Colour Pencil Sets provide artists with a collection of water-soluble coloured pencils in a balanced colour palette. 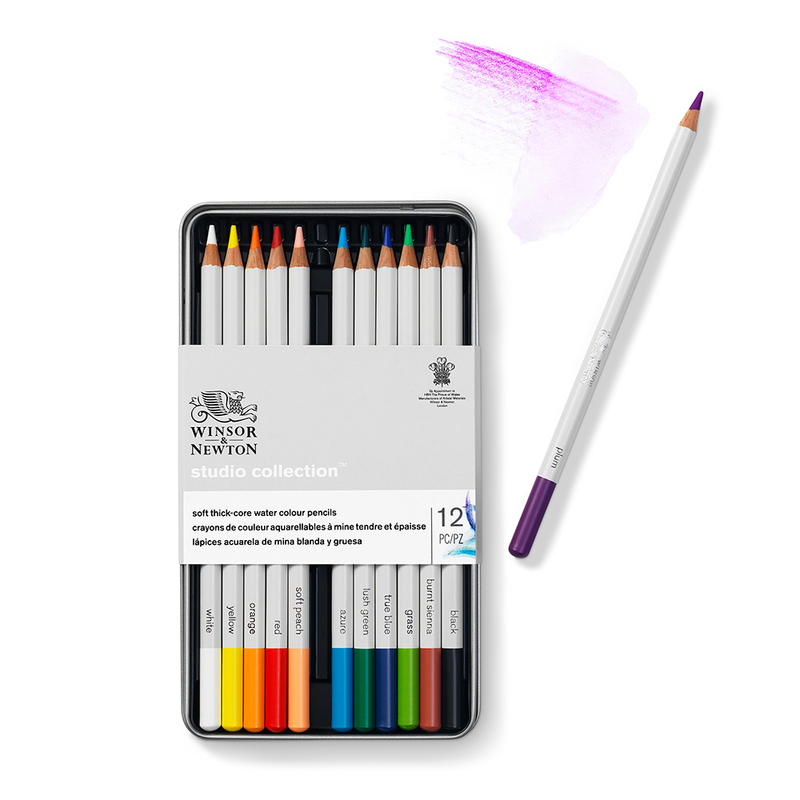 These pencils offer all the beauty of watercolour but with the precision and ease of a pencil. 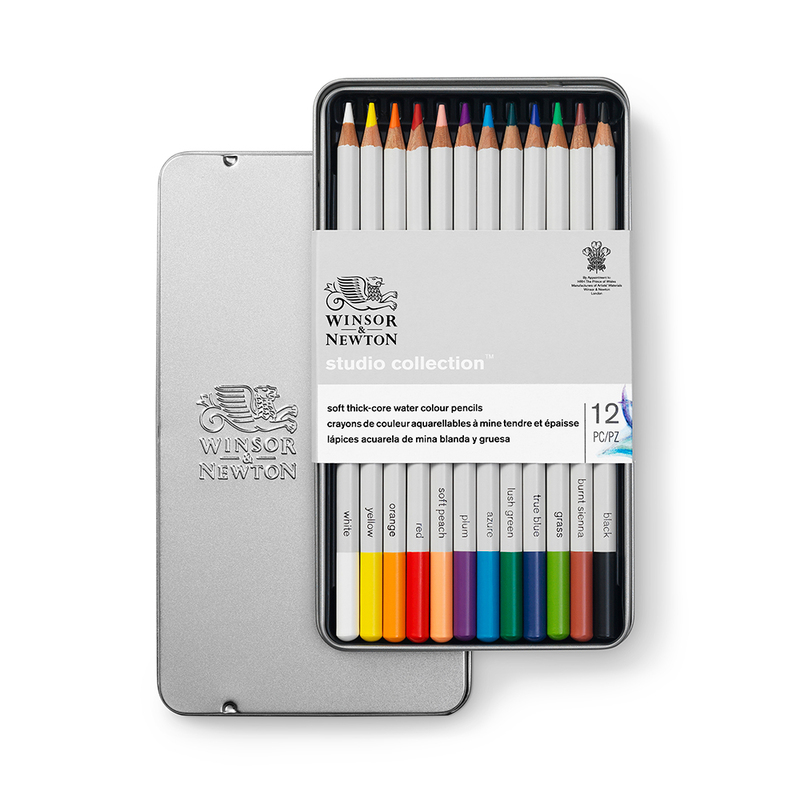 Wonderfully versatile, these pencils can be used wet or dry; treat them like you would a regular colour pencil to immediately apply vibrant colour to your drawing surface or transform colour into vibrant washes with the application of water. 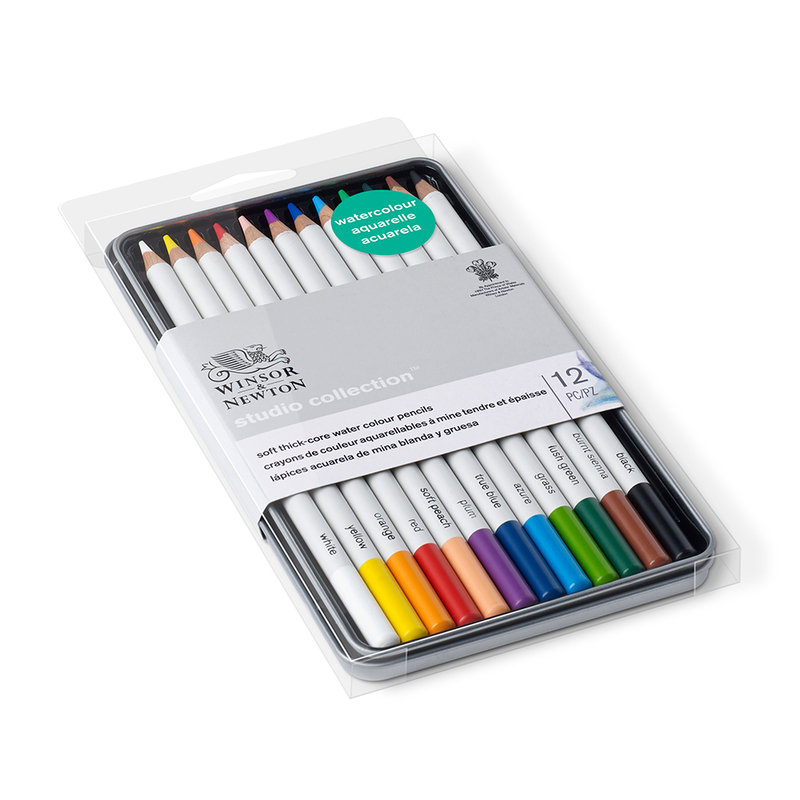 They are the perfect medium for creating expressive artworks whether you are in the studio or on the go. They will retain their point excellently, even under pressure, and can be easily re-sharpened to a precise point when worn down. 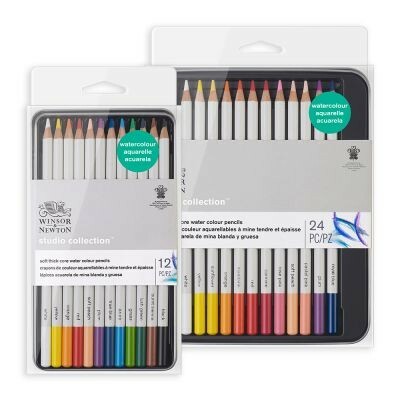 Now available in sets of 12 and 24. 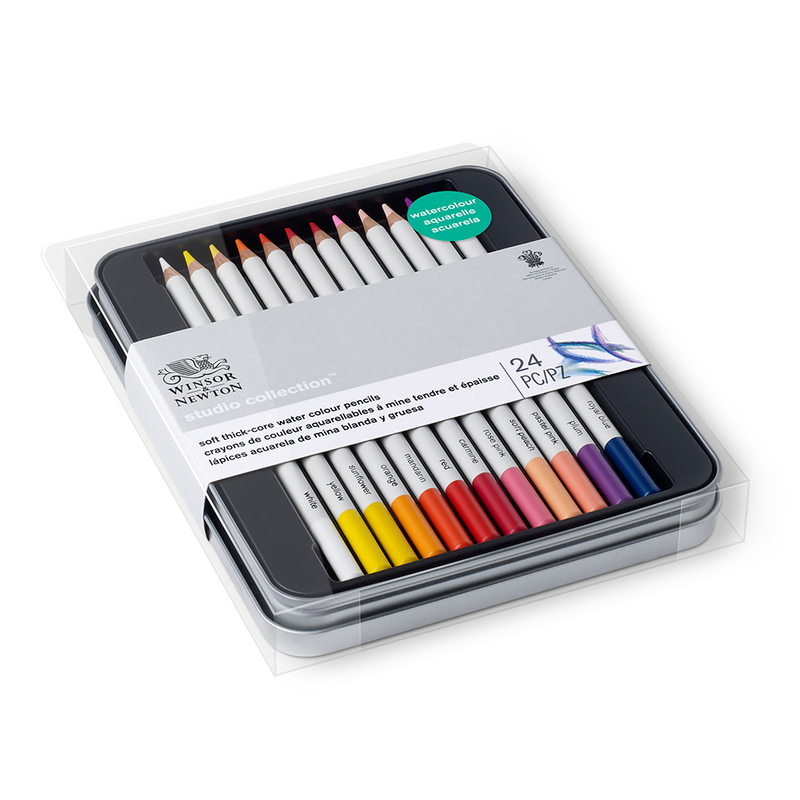 To see which colours are included in each set please click on the ‘Contents’ tab above.